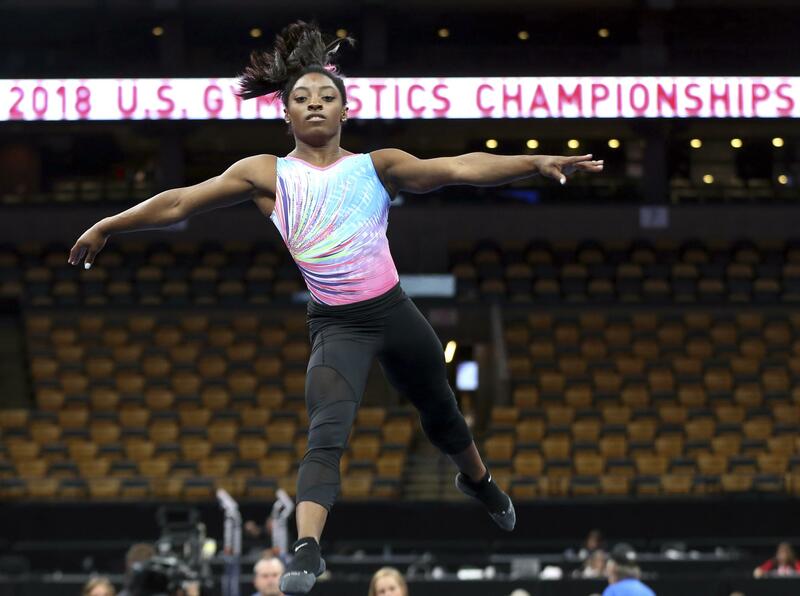 UPDATED: Wed., Aug. 15, 2018, 8:08 p.m.
BOSTON – Simone Biles is not here to save gymnastics. Or at least USA Gymnastics. It’s put athletes like Biles in a tough spot. There’s been so much chaos atop the organization they compete for – including a nearly complete overhaul among the leadership , numerous legal battles and murky details on how to implement the necessary changes in the wake of the Nassar scandal – that they’re not sure how to respond. Still, Haney called the Nassar fallout a “black cloud” that won’t go away. USA Gymnastics ran a more limited international schedule this year and there has been so much uncertainty that Haney has been forced to reassure Riley McCusker – who finished second to Biles at the US Classic last month and is expected to contend for the podium this weekend – that there will be a U.S. entry at the 2018 world championships. Published: Aug. 15, 2018, 5:01 p.m. Updated: Aug. 15, 2018, 8:08 p.m.